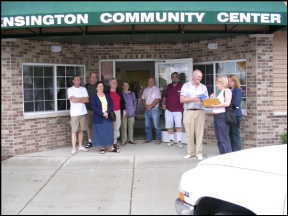 Local organizations such as the Lions Club, American Legion, and 50+ Club hold their regular meetings in the Center and the facility has been used for wedding receptions and other special events. Contact the City Clerk for additional information. 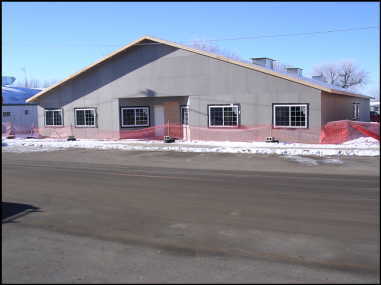 Construction of the building began in the fall of 2003 and was completed in the spring of 2004just in time for the grand opening of Hälsinglands Roots in Minnesota-an immigrant story. Kensington mayor Duane Sprouls is pictured above with Swedish relatives of Olof Ohman, members of the Heritage Society, and Hälsinglands Museum personnel. 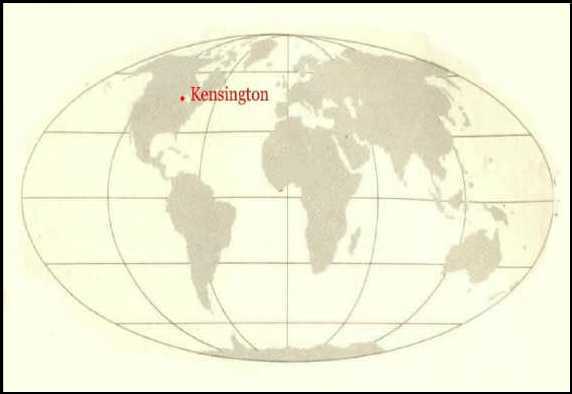 Located close to the geographic center of North America, Kensington is at the edge of the eastern forest and western prairie lands. Two major waterways come together in the area: the Mississippi River flowing southward to the Gulf of Mexico, and the Red River of the North flowing to Lake Winnipeg where the Nelson River ultimately empties into Hudson Bay. Kensington is situated in the southwest corner of Douglas County in west central Minnesota and borders on Grant, Stevens and Pope Counties.